Sometimes you are in the right place at the right time. I consider this photograph proof that I was in one of those places. 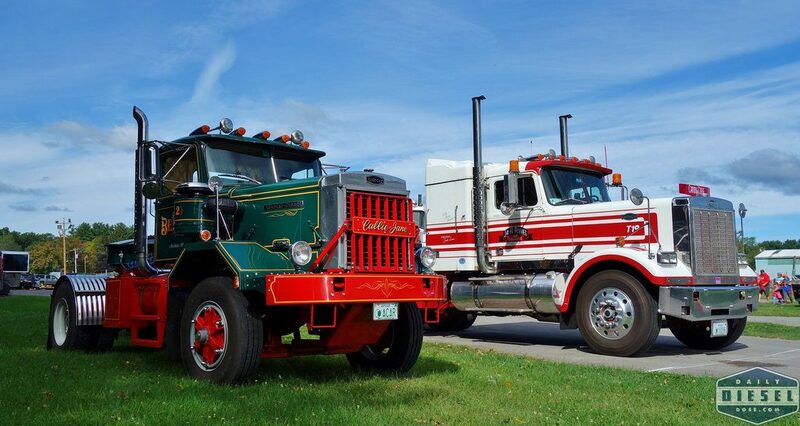 On the left, the 1972 DC9364 owned by Don Berch. 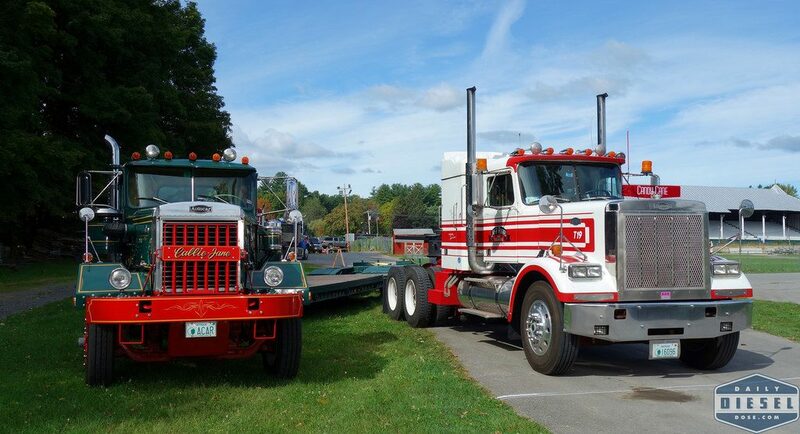 On the right, the 1984 AT64 owned by Jim Rymes. Both trucks have been featured in Autocar Mondays before but here we have them together for the first time. What a couple! From this angle you catch a glimpse of the trailers these two rigs pull to the show. No trailer queens here! Autocars are ready for work and show at the same time. Don’s truck has a great looking 1958 Rodgers 30 ton while Jim’s Autocar is hooked to more modern Landoll. Thank you so much for featuring our trucks! They will run with and sometimes pass, the new trucks. Still very reliable and comfortable. We’ve had lots of good times with these two old girls!